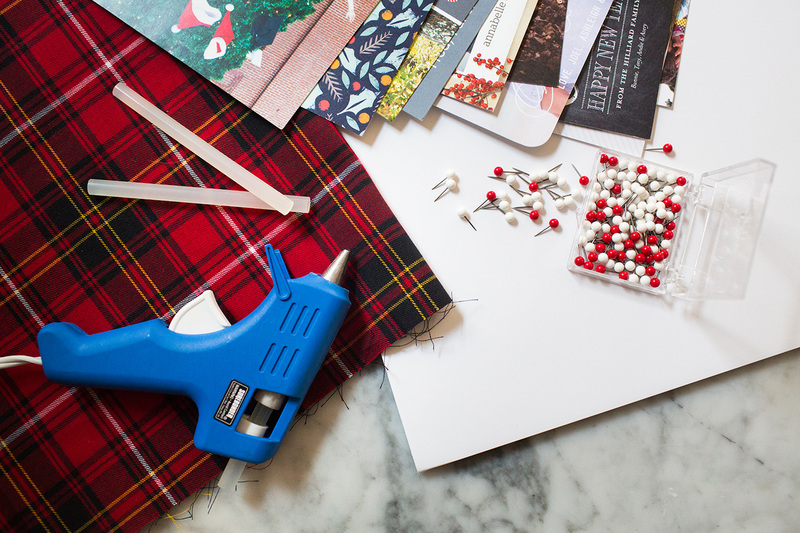 Welcome to Part Four of our Home for the Holiday series. In case you missed it, see the gorgeous modern woodsy wreath, the beautiful whimsical winter mantel, and the stylish tablescape tutorials by Alison O’Rourke and Allison Maucere, longtime friends and Chick-fil-A designers who have a passion for making everyday life just a little more beautiful. One of the best parts of the holiday season is that sudden influx of snail mail. Cards begin pouring in from friends and family – some near, some far, some you see often, and others rarely. Either way, their cards become little paper treasures that remind us of how very fortunate we are to be loved. 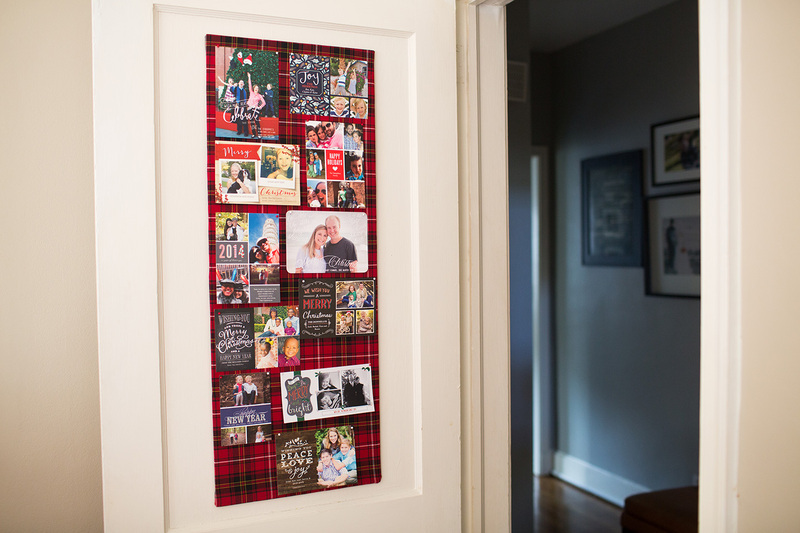 To complement your now spruced up front door, mantel, and table, Chick-fil-A designer Allison Maucere suggests turning these cards into an artistic creation. Step 1: Cut the foam board using a box cutter. Maucere recommends 18” x 36”, but be sure to measure your door first and adjust as needed. Step 2: Prepare the fabric. 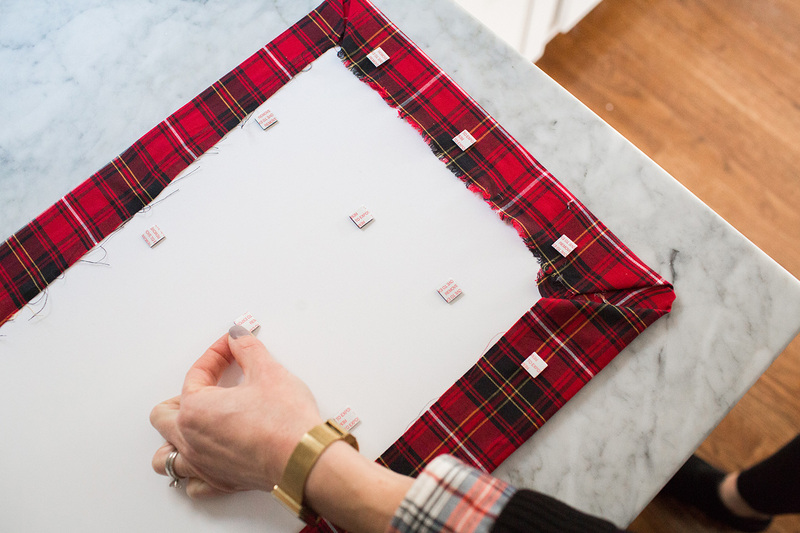 Start by laying your fabric flat with the printed side down, then trim to be a few inches larger than the foam board. 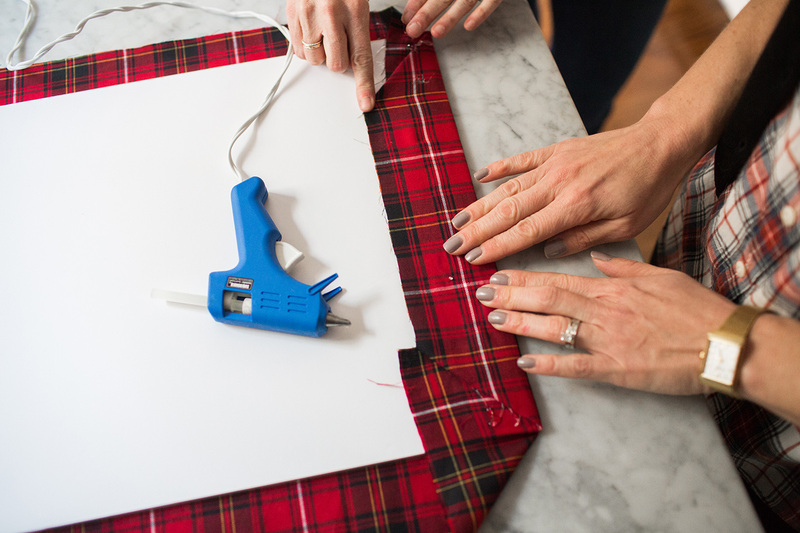 Lay the foam board on top of the fabric, then fold and glue each corner using the hot glue gun. Step 3: Glue the sides. 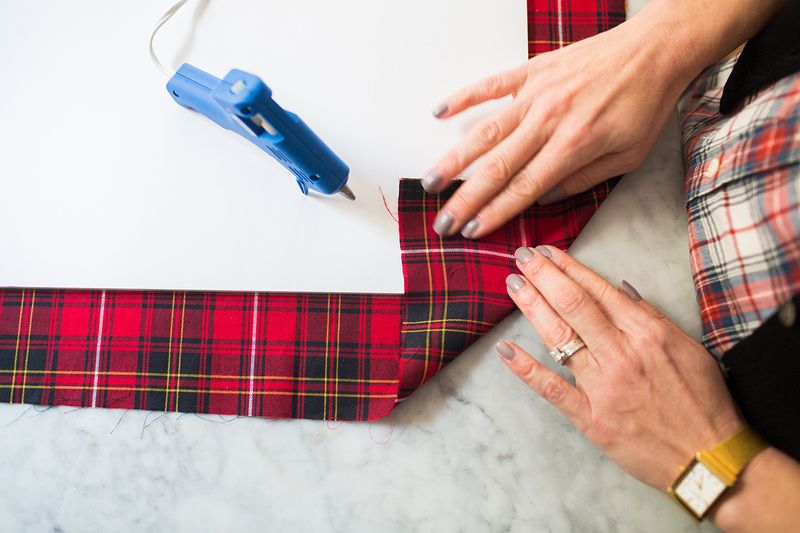 Fold and glue the fabric between the corners. It’s nice to have an extra set of hands to help keep the fabric flat and taut. Be careful – it’s hot! Step 4: Attach pieces of double-sided foam tape all over the back of your display. Be mindful to use a tape that will not permanently stick to your door. Step 5: Hang it up! Have fun pinning your cards into a cheerful arrangement. 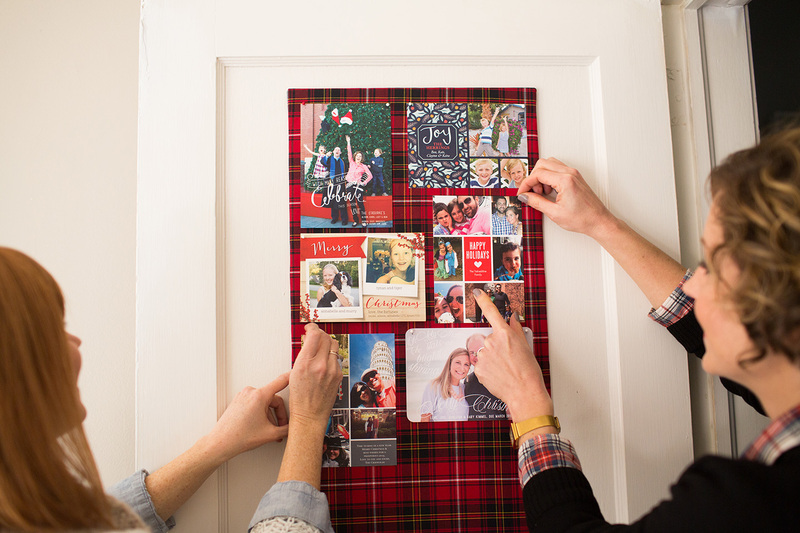 Next: Give the gift of encouragement in Part Five of our Home for the Holidays series.